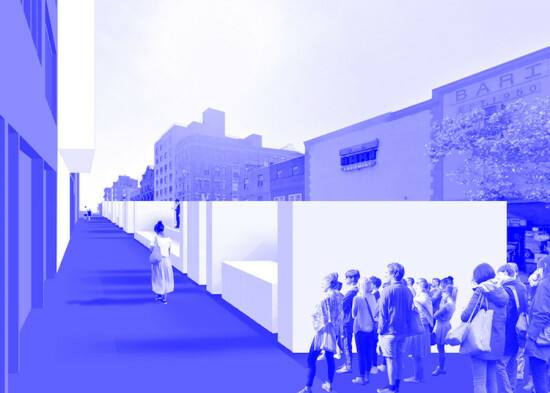 The 2015 Street Architecture Prize Competition recently announced a winner: a temporary public installation made of Geofoam blocks, whose potential extends beyond its built form. Foamspace by architecture collaborative SecondMedia is a series of structures built from the lightweight, expanded polystyrene foam, often confused with Styrofoam. As crucial as mortar though equally invisible, these Geofoam blocks typically fill voids below highways, bridge approaches, embankments and parking lots. They are also used for insulation, sound-proofing, and in shallow foundations. 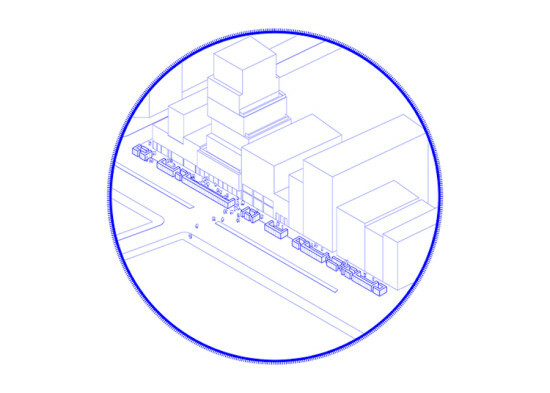 Adopting the theme of this year’s IDEAS CITY Festival: The Invisible City, the project seeks to put these normally invisible blocks at the forefront as they form walls, workshop spaces, corridors, and benches. There will be designated spaces for debate, a stage for performances and an urban lounge for relaxation. In its third edition, The Street Architecture Prize Competition continues to honor designs that propose unique, temporary outdoor structures presenting fresh takes on public gathering. Foamspace, however, will be on view for less than 24 hours. 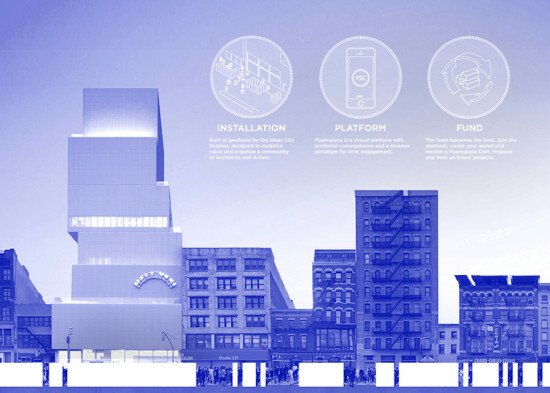 In light of Mayor DeBlasio’s ban (effective July 1) on single-use Styrofoam, also a type of expanded polystyrene foam, the fleeting installation seems to tread the fine line of “single-use.” However, the Geofam blocks will be sold at market price at the end of the festival to pool funds for further architectural projects—therein lies the project’s innovation. Users can register for a digital wallet on the project’s website, Foam.Space, to receive a “Foamspace Coin.” This coin is a badge of membership in the Foamspace community, in which partakers can vote for, propose, and fund architecture ideas for “consensus-based” building projects in direct response to community demand. 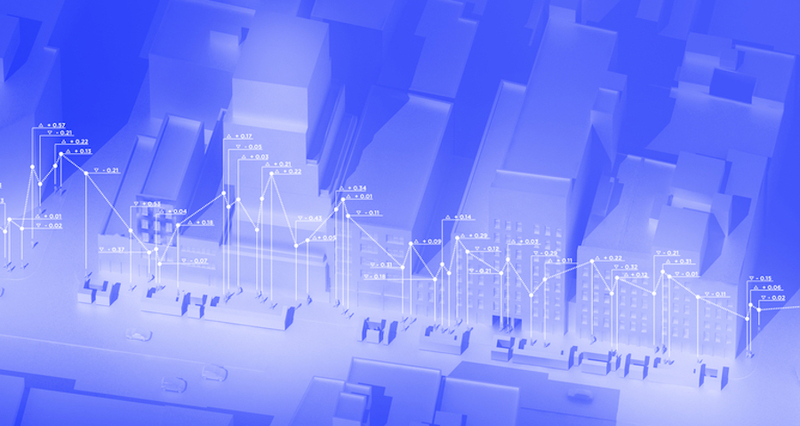 “The Geofoam blocks become a visual metaphor for the Bitcoin Blockchain,” Foamspace writes on its website. 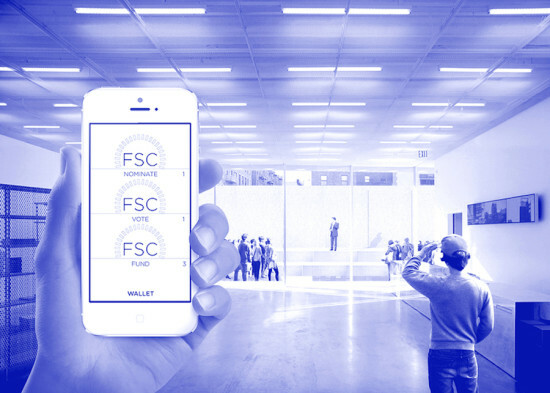 As soon as the ball gets rolling, the success of each project and publicity generated adds value to the Foamspace Coin, potentially increasing the number of funders and community members on board to make architecture a democratic practice. 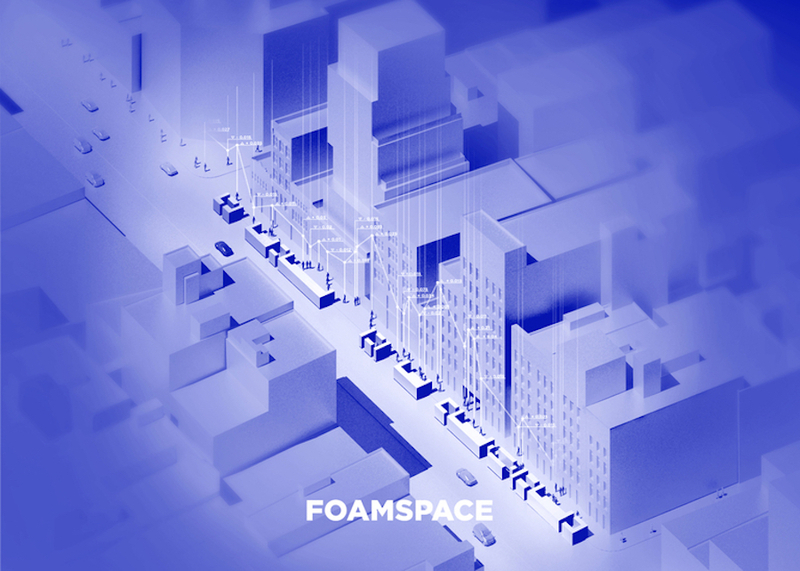 Foamspace will premiere on the streets of New York City on May 30, together with 100 other selected projects.